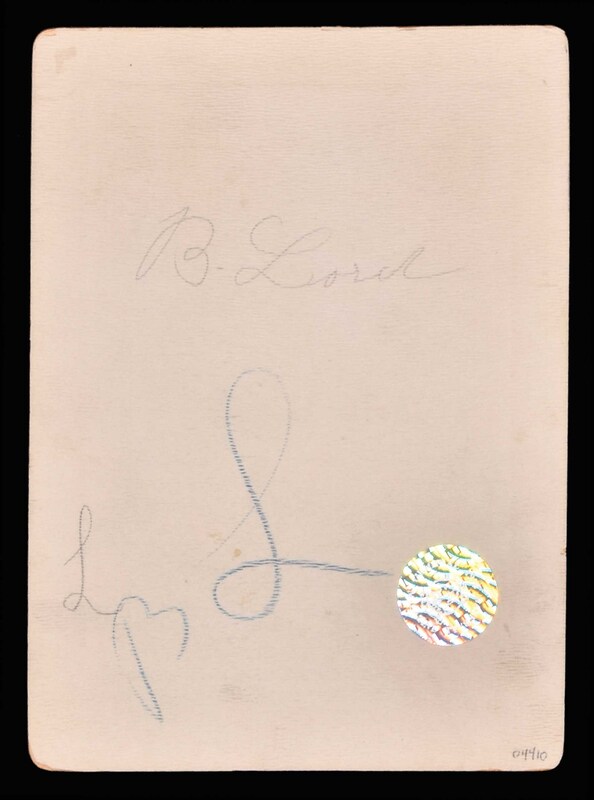 Original Carl Horner cabinet photo of outfielder Bris Lord used in the production of Lord’s 1910-1911 M116 Sporting Life card. The formal studio photograph captures Lord as a member of the Philadelphia Athletics. Lord played with the A’s from 1905 to 1907, and then again from 1910 to 1912. Between those years, Lord played for the Cleveland Naps. 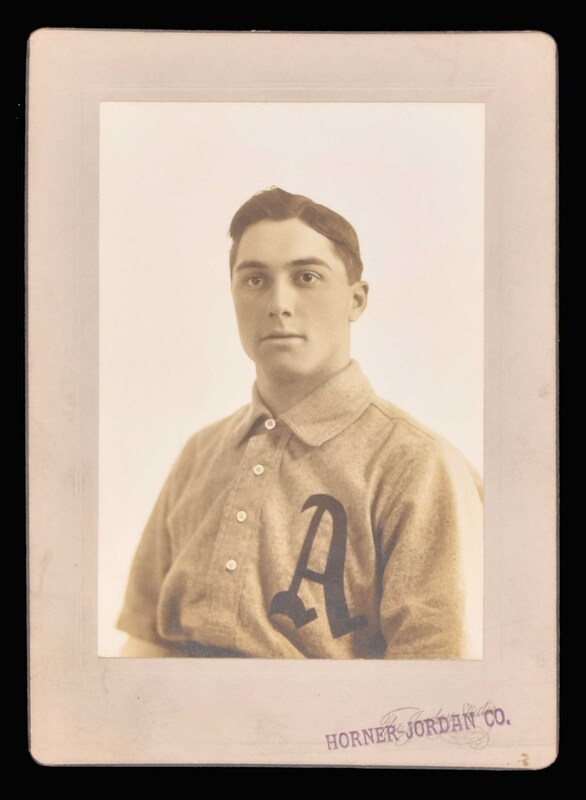 Since Lord’s Sporting Life card lists him as a member of Cleveland (the “A” on his jersey was cosmetically removed on the card image), we can reasonably assume that this particular cabinet was taken during his first tenure with the A’s. The mount displays a “The Jordan Studio” credit stamp that has a purple over stamp reading “Horner-Jordan Co.” Lord’s name is written in pencil on the reverse. This cabinet photo was originally obtained at the sale of the Baseball Magazine archives at Christie's in 1996 and, as such, bears the special hologram label from that sale on the reverse. The photo remains in Mint condition, while the mount (5.25 x 7.25 inches) is in Excellent to Mint condition. Reserve $300. Estimate (open).